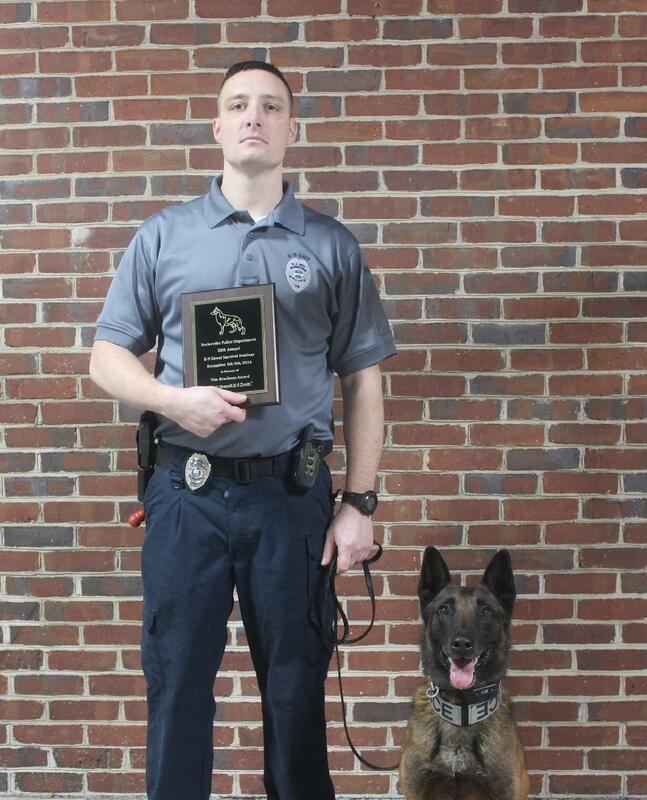 Morristown Police Department Officer Paul Pressley and K-9 partner, Dano, received Best Overall K-9 Team at a recent seminar. All MPD K-9 teams attended the 28th Annual K-9 Street Survival Seminar presented by Integrity K-9 and hosted by the Sevierville Police Department in December. Throughout the week instructors watched approximately 40 K-9 Teams work together through scenario based training. The training consisted of tracking, narcotics detection, apprehension and obedience. Officer Pressley and Dano were selected the best throughout the week. Officer Pressley has served the citizens of Morristown for nine years. He has also served in the armed forces. Dano has served with the MPD for six years; Officer Pressley and Dano have been partners for four years. In addition to his regular patrol and K-9 duties, Officer Pressley is a member of the Special Response Team and has been a member of the Criminal Apprehension Unit. Dano is a Belgium Malinios and like all MPD K-9s is a dual purpose dog. He is trained for narcotics detection and apprehension.